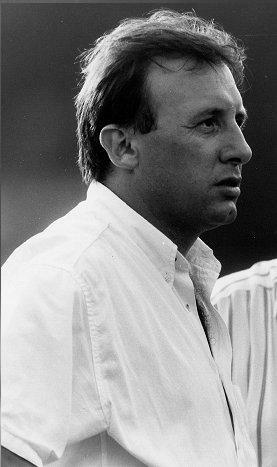 The football coach Alberto Zaccheroni, who won the Serie A title with AC Milan and steered the Japan national team to success in the Asia Cup, was born on this day in 1953 in Meldola, a town in Emilia-Romagna. In a long coaching career, Zaccheroni has taken charge of 13 teams in Italy, a club side in China and two international teams, Japan and the United Arab Emirates. In common with many coaches in Italy, Zaccheroni began at semi-professional level and worked his way up through the professional leagues. Before to winning the Scudetto with Milan in 1999, he had twice won titles at Serie D (fourth tier) level and twice in Serie C.
Zaccheroni played as a fullback, with the youth team at Bologna and the Serie D team Cesenatico in Emilia-Romagna, but his career was hampered by a lung disease he contracted at the age of 17, which meant he could not train or play for two years. He quit playing in his mid-20s and began to coach Cesenatico’s youth teams. His coaching talents began to attract attention when, in two consecutive seasons, he was asked to take over on the bench for Cesenatico’s first team following the sacking of the head coach and on each occasion saved them from relegation. This brought him a head coach’s position in his own right at Riccione, near Rimini, where he won promotion to Serie C2, and then at Baracca Lugo, the team near Ravenna that takes its name from Francesco Baracca, the First World War flying ace who was born in the town. He achieved promotion in consecutive seasons with Baracca Lugo, taking them into Serie C2 and then C1, before continuing his rapid rise with Venezia, where he won the Serie C1 play-off to take the club of La Serenissima into Serie B for the first time in 24 years. After Venezia, Zaccheroni spent a season with Bologna before taking up his first post outside northern Italy at Cosenza in Calabria, where he had a remarkable Serie B season, taking over a team that had began the campaign with a nine-point penalty yet not only avoided relegation but at one point were in contention for promotion to Serie A. As a result, he landed his first Serie A post with Udinese, where he became known as the father of 3-4-3, the tactical formation he favoured and which became the stock system for other coaches, such as Antonio Conte, who employed it with great success at Juventus and Chelsea at club level, and with the Italian national team. Bringing together an Italian (Paolo Poggi), a German (Oliver Bierhoff) and a Brazilian (Marcio Amoroso) in his forward line, Zaccheroni steered Udinese to 10th place, fifth and third in consecutive seasons. The fifth place in 1997 meant the Friulian club qualified for the UEFA Cup for the first time in its history. This opened the door to even bigger challenges, this time with AC Milan, one of the giants of Italian football. Zaccheroni was successful immediately, delivering the club’s 16th Scudetto in their centenary season, with his former Lazio star Oliver Bierhoff the leading goalscorer. Only then did Zaccheroni’s almost continuous record of success come to a halt. 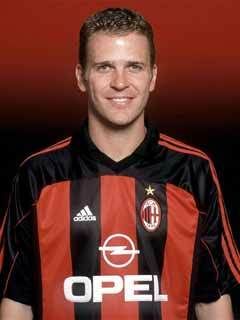 He could not replicate his domestic success in the Champions League and when Milan finished sixth in 2000-01, his third season in charge, and therefore qualified only for a UEFA Cup place, he was dismissed by president Silvio Berlusconi. Faced with much higher demands, he subsequently spent only one season at Lazio, qualifying for the UEFA Cup, and one season with Internazionale, where he finished fourth and thereby clinched a Champions League place, but on each occasion he was replaced as head coach with Roberto Mancini. From Inter, Zaccheroni went to Torino and then Juventus, again without success, before the chance arose to take charge of the Japan national team in 2011. 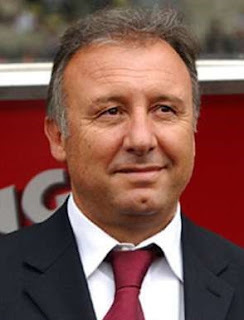 Despite language problems - Zaccheroni struggled to learn any Japanese and had to communicate with his players either via an interpreter or, as one of his players later explained, with only gestures when no interpreter was available - he led the Japan to the Asia Cup in his first season in charge, the first Italian coach to be successful with an international team other than Italy. Subsequently, Zaccheroni’s Japan won the East Asia Cup in 2013 and qualified for the 2014 World Cup finals in Brazil. He left after the 2014 World Cup, when Japan finished bottom of their group. Following an unsuccessful stint in the up-and-coming Chinese professional league as coach of of Beijing Guoan, Zaccheroni accepted his second international posting as head coach of the United Arab Emirates, with whom he reached the final of the Gulf Nations Cup in January this year. Zaccheroni’s home town of Meldola, situated some 14km (9 miles) south of Forli in the foothills of the Apennines, with a population of just over 10,000, was once notable for the production of silk. The site of a large Roman aqueduct, now submerged, it has a well-preserved medieval castle. 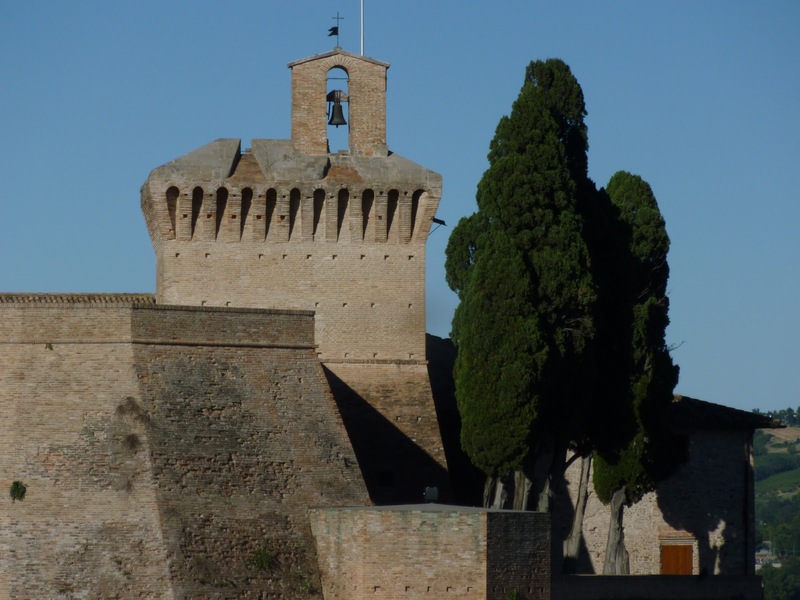 The Rocca della Caminate fortress was a former holiday home of the Fascist leader Benito Mussolini. The Adriatic resort of Cesenatico, where Zaccheroni began his coaching career, is 16km (10 miles) from the city of Cesena, on the stretch of coast between Rimini and Ravenna, has a number of distinctions, including an 118-metre office and apartment building that was once the tallest building in Italy and a port and canal built from designs commissioned of Leonardo da Vinci. It also has a handsome, Liberty-style Grand Hotel and a museum dedicated to the former cycling champion Marco Pantani.